Hello, my nom de blog is Maphead and you might know me from my book blog Maphead's Book Blog. Over the last several years Helen, one of my favorite book bloggers, has hosted the Middle East Reading Challenge. Not only has her reading challenge been a fun and intellectually-stimulating activity, but in light of 2011′s Arab Spring and recent events in Libya and Syria it's served as a fantastic opportunity for readers to gain a deeper understanding of people and forces which are reshaping one of the world’s most volatile and dynamic regions. When Helen announced she was stepping down from being the challenge's host and suggested that I take her place at first I was reluctant. While I’ve been book blogging for several years, I’ve never hosted a challenge. 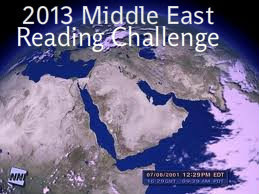 However, to see the Middle East Reading Challenge vanish into the ether would be a huge loss. Therefore, after thinking it over I’ve decided to accept her offer and host the 2013 Middle East Reading Challenge. Below are all the details. By the way, since Kinna did such a fine job in creating her Africa Reading Challenge, I've decided to use hers as a template. In other words, I ripped her off! Thanks Kinna! Referred by many nowadays as the "Greater Middle East" or "MENA" (Middle East/North Africa), our challenge will focus on the North African nations of Algeria, Morocco, Tunisia, Libya and Egypt; the Levantine nations of Jordan, Syria, Lebanon, Israel, Jordan and the Palestinian Territories; all the nations within, bordering or relatively close proximity to the Arabian Peninsula including Iran, Iraq, Kuwait and the Gulf Emirates. After a great deal of agonizing I've decided to not include Turkey. Nothing personal, it's just a judgement call. However, if you come across a book dealing with that nation's role in the Middle East by all means feel free to include it. Of course, since much of the Middle East was ruled by the Ottoman Empire until the end of WWI, books dealing with period of history are cool too. I've also decided to not include the nations of the Horn of Africa or its neighbors Sudan and South Sudan. Yet another judgement call. Read as many books as you'd like. Eligible books include those which are written by Middle Eastern writers, or take place in the Greater Middle East, or are concerned with the Greater Middle East and with historical and contemporary Middle Eastern issues. I'd encourage you to read at least three books written by Middle Eastern writers. Sometimes it can be fun to strive towards a particular reading level. Therefore, I've come up with a few in hopes of inspiring folks. Non-fiction – memoirs, autobiographies, history, current events, religion and political theory. Cover at least two regions, pick from North Africa, the Levant and/or one or more of the nations within or near the Arabian Peninsula. You can mix classic and contemporary fiction. If you are intend to read mostly non-fiction (like me) then please include at least one book of fiction. Since this region is the birthplace of the three major monotheistic faiths, why not include one their sacred writings like the Quran, the Gnostic scriptures, the Talmud or the Dead Sea Scrolls. For years this region has been called the "cradle of civilization." If you feel inclined, explore the region's ancient history or maybe its archaeological discoveries. There's a ton of those books out there. The region is also the birthplace of or the inspiration for a number of ideologies including Pan-Arabism, Zionism, Palestinian nationalism and Islamism. Why not consider something by one of their proponents-or critics. 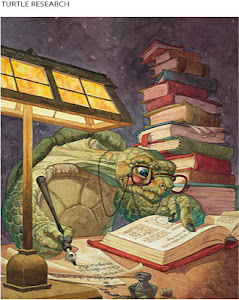 By the way, crossovers with other reading challenges are allowed-and encouraged! Keep in mind the most important thing is to have fun and explore the Greater Middle East through books. If you are interested, why not sign up? Just post a link to your blog. If you feel inclined, let us know in the comments field which reading level strikes your fancy. When the time comes, post your reviews on this page. If you don't have blog, leave a comment or two in this blog's comment field and if possible, let us know if you've chosen a reading level. Feel free to also let us know if there's any particular books and/or authors you are looking forward to reading. Good luck and have fun!